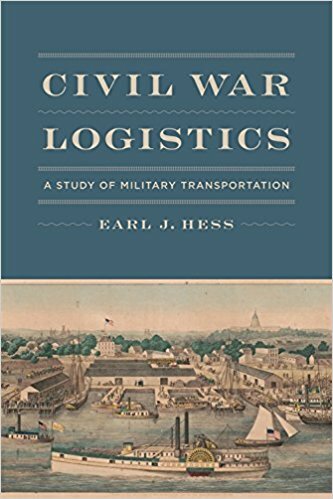 Review of Hess: "CIVIL WAR LOGISTICS: A Study of Military Transportation"
Over the centuries, military logistics has been defined in a number of ways both narrow and broad. In his new book Civil War Logistics, historian Earl Hess duly acknowledges the subject's inextricable relationship with procurement and supply, but nevertheless elects to concentrate his own efforts on transportation. His feeling that including those other elements would unappealingly stretch any kind of full examination into multiple volumes or a single unwieldy tome is reasonable. Indeed, Civil War Logistics demonstrates that transport alone provides more than abundant range for standalone study. In it, Hess discusses and analyzes all manner of military transportation, from modern innovations such as railroad cars, sea-going steamships, and riverboats, all the way down to means of conveyance that armies of bygone eras would have found familiar (ex. wagons, foot power, pack trains, and commissary subsistence on the hoof). 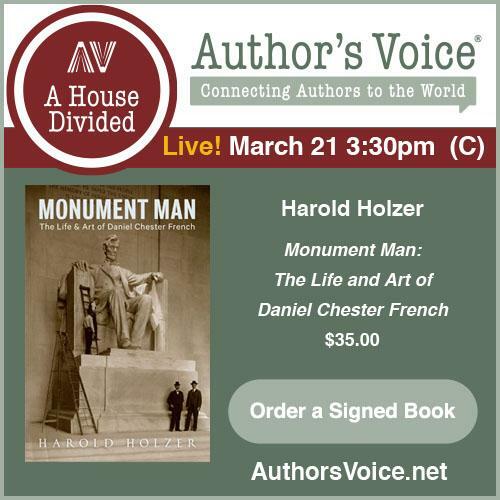 The three mainstays of Civil War mass transportation were railroads, riverboats, and steamships, and the book devotes extensive chapters to each mode of transit. As with most aspects of the study as a whole, the focus is largely on the Union side, the reasoning behind this being the far greater availability of official and unofficial source material and well as the North's much grander scale of employment and level of success using all three modes. The Confederate perspective is not ignored, but it's decidedly secondary. In general, the book does a fine job of mining print and manuscript sources for a wide range of representative examples. These source materials also provide the quantitative figures needed to better appreciate the scales involved and also to support the volume's broader conclusions. The literature contrasting Union versus Confederate railroad management is so vast and well known to Civil War readers that there's little need to reproduce the highlights here, but suffice it to say that Hess offers a concise but more than satisfactory overview of the stark differences between Union mastery and Confederate mismanagement and material deficiencies. Like Thomas Army did recently in his study of Civil War engineering, Hess credits much of the sectional disparity to vastly superior northern managerial and engineering expertise, transferable skills from the civilian world that the Confederacy had no hope of matching at the scale required to compete. The book also appropriately highlights the efforts of several unsung Union logisticians, men like Lewis Parsons. Such individuals were key to the successful management and coordination of federal military logistics. Hess additionally praises Union foresight in assigning talented managers like Parsons to positions of theater-wide responsibility over transport asset allocation, along the way providing numerous examples of how this innovation enhanced the efficiency of mass transport and minimized collateral dislocation of the national transportation system. This type of oversight role was something the Confederates never attempted to develop. As with the railroads, the Union military handled river transportation at similar levels of proficiency. With nearly all boat construction facilities and most major passenger and freight companies located in the North, there was certainly a built-in Union advantage, but once again superior northern management, business culture, and financial strength greatly widened during the war the already yawning gaps between the shipping capacities of both sides. Though independent-minded private riverboat owners proved more difficult to handle than railroad presidents (especially early in the conflict), the federal authorities gradually achieved a winning combination of leasing, chartering, and outright purchase that together met the needs of both parties throughout the conflict. The Union military dominated sea-borne transport most of all, and the author is probably correct that, of the three major logistical systems employed, coastal shipping gets the least amount of attention in the literature. By the last year of the war, there were over 700 coastal steamships supporting the Union war effort from Virginia to Texas, this vast fleet shouldering a large proportion of the total logistical burden. Hess's suggestion that Confederate coastal shipping had no part on their own logistics network due to the overwhelming power of the Union blockade and the rapidity of its imposition might be worthy of some reconsideration. There does appear to at least some evidence that the Confederates were able to employ numbers of small vessels for coastal transport using the safety of the barrier islands that protected much of the North Carolina and Texas coastlines (thought admittedly by the war's midpoint both littoral avenues were completely compromised). Also discussed at some length are wagon trains, fulfilling as they did the vital role of final link in the logistics chain between the field armies and the railroads, riverboats, and coastal shipping networks that sustained them. With large and sustained rural and frontier populations, both sides benefited from the long-standing American tradition of long distance wagon travel on often primitive roads. This produced for army use a large pool of experienced teamsters and a great supply of mules to exploit for military purposes. Once again, the Union military had relatively few problems in meeting their needs in these areas, while the Confederates continually struggled with both purchasing power and wagon construction. Other modes of transport, to include pack trains, infantry foot power, and cattle herds, are also briefly described in the book. Of course, the astute reader can point to the profoundly obvious nature of Union logistical superiority, but it should always be remembered that organization, management, in-tune government policy, and the wellspring of financial innovation and strength that supported it all were collective factors at least as important to winning the logistics war as simple differences in material resources, population, and industrial might. Additionally, in every major category of conveyance, Confederate logistical capacity contracted as the war dragged on while Union might expanded, exacerbating to an intolerable degree (from the Confederate perspective) the already significant structural differences between the sections when it came to modern transport. 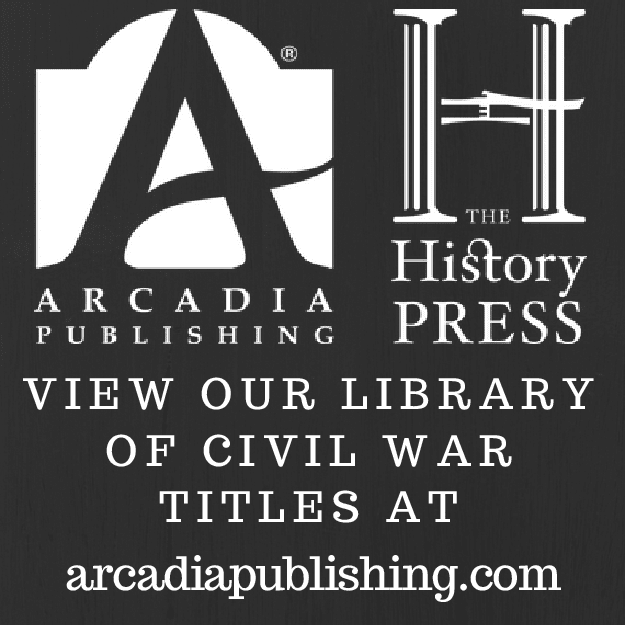 All good studies of the Civil War as fought along the great western waterways include some discussion of Confederate interdiction of river traffic (especially on the Mississippi) along with Union countermeasures, and in Civil War Logistics Hess provides one of the best all-around, chapter-length assessments of these topics. In appreciating what southern guerrillas and small, mobile groups of regular Confederate troops were able to accomplish against Union shipping, the book makes a strong argument that coordination and just a little more resource allocation (something Confederate authorities were unwilling to invest in the effort) could have caused major logistical problems for the federals. In examining the vastly disproportionate Union response to these attacks on both armed and unarmed steamers, Hess also joins historians Clay Mountcastle, Daniel Sutherland, and others in convincingly drawing direct links between Confederate attempts at river interdiction in the West and the overall acceleration of Union hard war measures and policies. The targeting of other means of logistical transport (railroads, coastal shipping, and wagon trains) is also considered. In the twin game of supporting one's own logistical network while also trying to destroy the opponent's, the Union was supremely triumphant. Hess also reinforces the consensus view among Civil War historians that cavalry raids had only limited ability to damage enemy logistic networks, citing many examples and correctly determining that sizable infantry forces were generally needed to wreck enemy transport systems enough to cause permanent or near permanent strategic deficits. The section dealing with mass transfers of troops is similarly good. While impressive Confederate logistical achievements like the movement of General Bragg's western army from Corinth, Mississippi to East Tennessee and the shuttling of Longstreet's Corps from Virginia to the western theater are valued, the chapter is primarily devoted to the much more potent Union prowess in moving large numbers of troops cheaply and efficiently. Even though the rapid rail transfer of two corps from the Army of the Potomac to the relief of Chattanooga in late 1863 is a much more famous event, Hess makes a strong argument that the most impressive long-range military movement of the war was the strategic relocation of Twenty-Third Corps from Middle Tennessee all the way to the North Carolina coast in order to support General Sherman's northward march in 1865. In addition to the large troop size and great distances involved, the movement also provides one of the best illustrations of a seamless integration of multiple logistical networks. Given the examples offered in the book, one might be tempted to believe that Union logistical capacity was almost limitless, but Hess cites the temporary disruption of military and civilian transportation coincident to these kinds of mass movements and estimates the upper limit of Union capability at around 30,000 men at any one time. 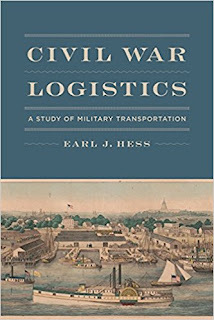 In this fine study of Civil War transportation, Earl Hess refreshingly doesn't try to reductively argue that Union logistical superiority was the single-most important factor in achieving victory, but his book does abundantly make clear that logistics capacity and management together represent one of the sharpest differences between each side's war-waging capability. 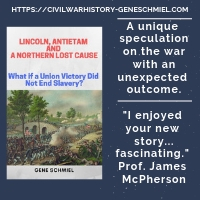 In Hess's study one can find both a sound survey history of Civil War military transportation and a revealing quantitative analysis leading readers to the inescapable conclusion that the Union logistical network outperformed its foe's in every possible way. Civil War Logistics is highly recommended. I will have to check this out, but I still see a need for an integrated study that looks at how different classes of supply (for example, medical/casualty, and ordnance repair/equine medicine and horse (prime mover) replacement) were integrated at the echelon above corps level. quartermaster corps relative to the combat forces. Finally does Hess provide any insight into naval logistics? Coal supply and equipment/hull repair seem to have been major concerns at least in the blockading squadrons. "I will have to check this out, but I still see a need for an integrated study that looks at how different classes of supply (for example, medical/casualty, and ordnance repair/equine medicine and horse (prime mover) replacement) were integrated at the echelon above corps level." The need is acknowledged but someone else will have to do it. "Also from a military cultural standpoint the status of the quartermaster corps relative to the combat forces." I didn't mention it in the review but there is a discussion of quartermasters in the book with some cultural context. "Finally does Hess provide any insight into naval logistics? Coal supply and equipment/hull repair seem to have been major concerns at least in the blockading squadrons." No, just sticks to transportation.